Netflix is great for when you want to spend the night on the couch using a steady Wi-Fi connection from your awesome new router, but what if you have the world’s longest plane ride ahead of you? Thankfully, you can download a heck of a lot of content from the popular on-demand streaming service for offline viewing. For now, downloading titles for offline playback is limited to the Netflix app, which is currently available for both iOS and Android. 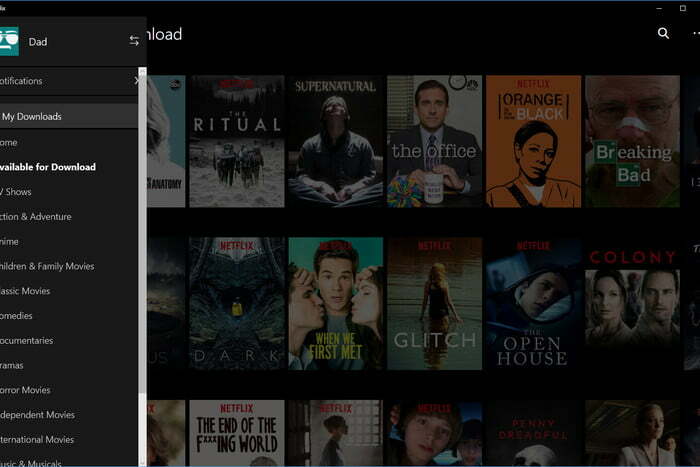 If you’ve got a laptop or other Windows computer, the functionality is also built into the Netflix app for Windows 10, assuming you’re running Windows 10 Anniversary Update or later. The process is straightforward: Just open Netflix, choose download quality, and select the download option (when available) for offline viewing. Read on for more specific details on how to download movies from Netflix onto all of your devices. The following instructions should work for iOS, Android, and Windows 10, despite being specific to the latter. First things first, you’ll need to make sure your Netflix app is up-to-date. If you don’t have your device set to auto update, simply click on the app in the App Store (you’ll need version 9.0 or later) for iOS devices, or do the same in the Google Play Store for Android devices. 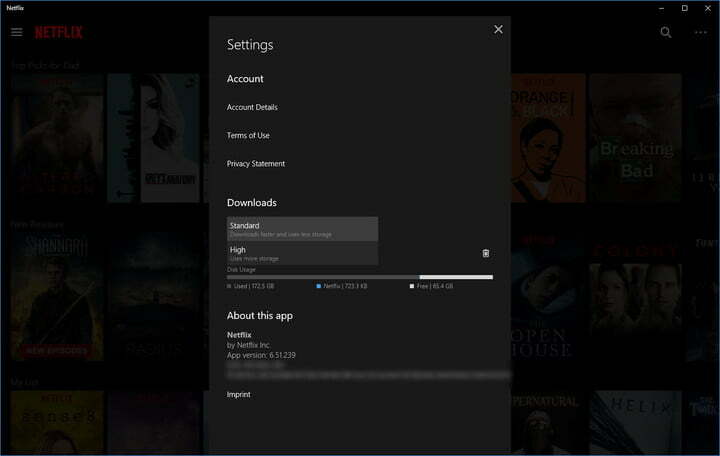 If you plan on using the Netflix app for Windows 10, select Store in the taskbar or Start menu, click your user icon, and select Downloads or Updates. Finally, select Check for Updates and the Netflix app will begin updating. Netflix offers two quality levels for downloads: Standard and High. The latter seems to be high definition — somewhere between 720p and 1080p resolution — though Netflix doesn’t specify. Standard uses less space on your device and allows you to download content quicker, whereas High takes a bit more space and patience. Which one you’ll want to use will depend on how much free space you have on your device, and what kind of device you’re using. Standard mode may look fine on your new phone, for instance, whereas a higher resolution may be preferable for your tablet or laptop. To choose, select the menu icon on the left and scroll down to App Settings. From there, under the Downloads heading, click or tap Video Quality and select your preferred quality. We’ll get into more details on how much space Netflix downloads take up later in this article. 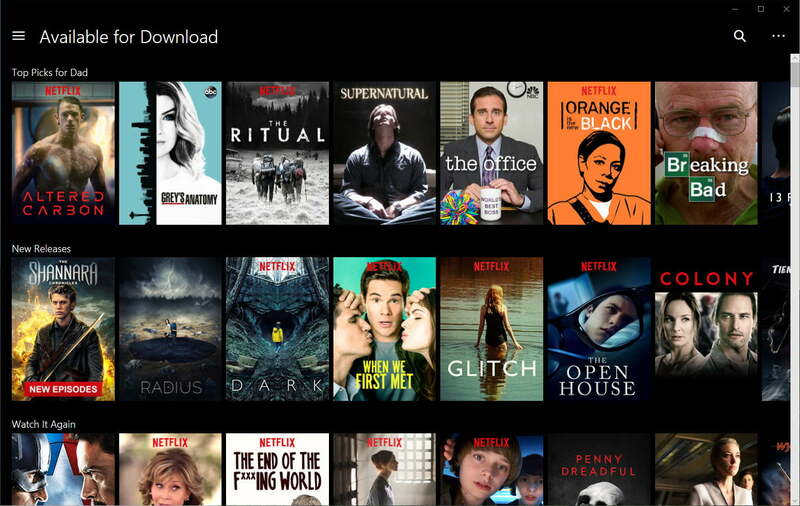 Not everything on Netflix is available for download, but the company has made downloadable titles easy to find by arranging them in a special section called simply Available for Download. To get there, click or tap the Menu button in the upper-left corner — it will be the first option below the Home section. 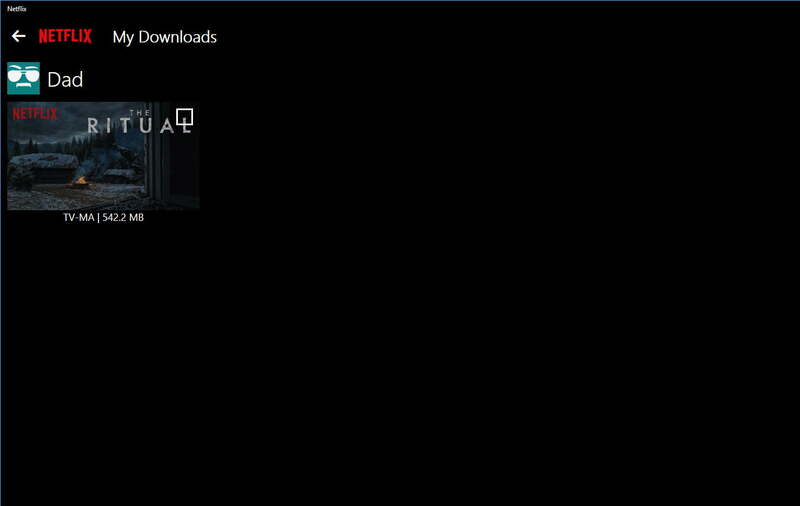 If you’re searching for specific titles, simply make sure theyb have the download icon, which is a downward arrow with a horizontal line beneath it. 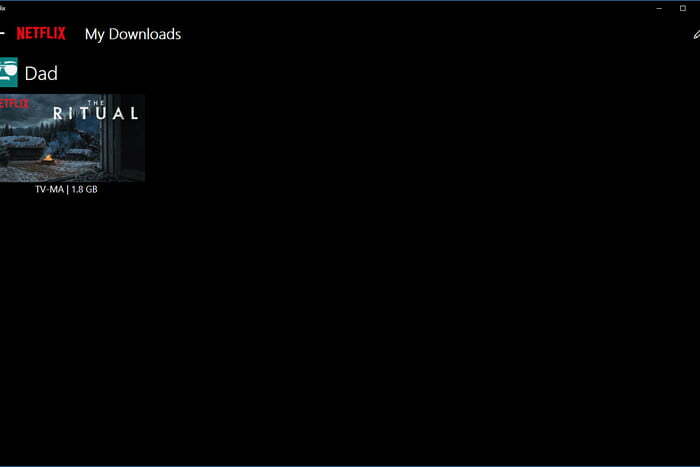 To begin downloading a title, select the Download icon affixed to the show or movie you want to watch. There is one thing Android users will need to be aware of here: You can only download titles to the same storage device on which the Netflix app is stored. This means that, if you want to download content to an SD card, you’ll need to install the Netflix app there as well. 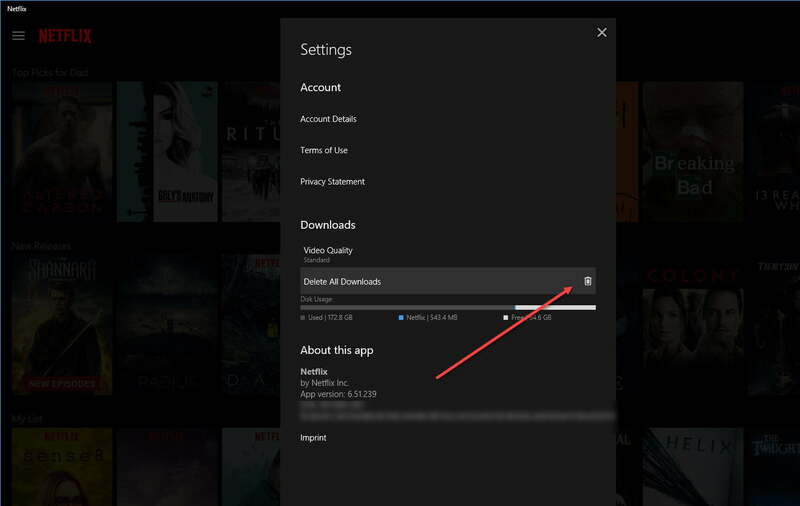 Once downloaded, all Netflix content will appear in the My Downloads section, which can be found by selecting the menu button in the app’s upper-left corner. The My Downloads folder is located just above the Home section. The title’s running time, as well as how much space it uses, is listed directly beside it. To play an episode, simply click or tap the video thumbnail. Just how much space a download takes up depends on how long the title is and, of course, the playback quality. 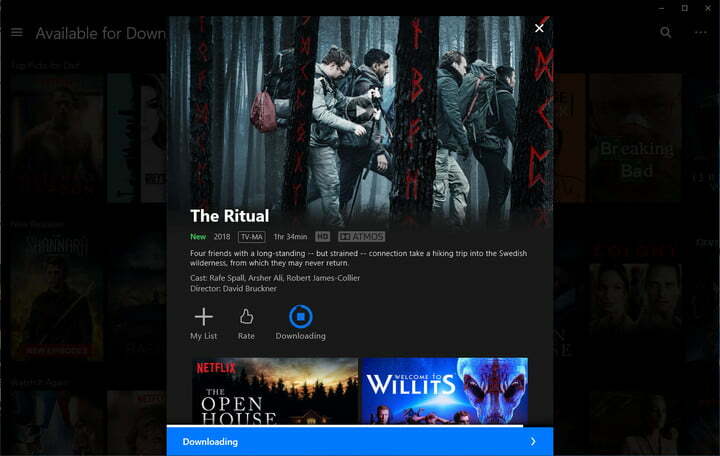 As an example, we downloaded the Netflix original The Ritual, as well as the first episode of Stranger Things, in both Standard and High quality. The Ritual has a runtime of 94 minutes. The Standard version of the film used 542MB of space, while the higher-quality iteration took up 1.8GB. Stranger Things‘ first episode is 48 minutes long and takes up 197.1MB of space in Standard quality and 310.1MB in High. As mentioned above, Standard should be fine for most phones, but if you’re picky — or watching on a bigger screen — you’ll want to use the higher resolution. As noted previously, not all of Netflix’s library of streaming titles is available for download. One group of titles you can always count on being available, however, are Netflix Originals. 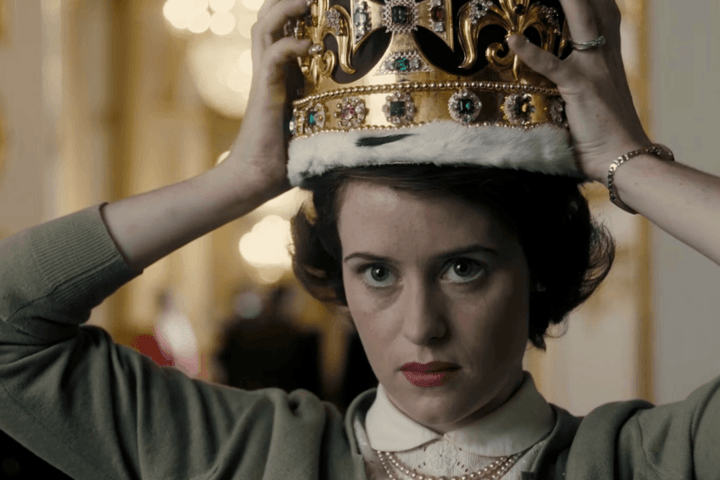 Every Netflix title we looked at was immediately available for download, including episodes of Stranger Things, The Punisher, Orange is the New Black, House of Cards, Narcos, Jessica Jones, and The Crown. Other titles available at the time of writing included TV shows like Breaking Bad, Colony, The Office, Arrow, and Grey’s Anatomy. Movies available for download included Anon, Tremors: A Cold Day in Hell, Bright, The Imitation Game, and Moon. Some titles are only available for a limited time, and so you’ll want to grab a title sooner rather than later. Of course, once a title is gone from the service, you won’t be able to access its downloaded iterations. How do I delete titles? Whether you’ve already watched downloaded titles or simply want to make room for other things, you’ll eventually want to get rid of them. Thankfully, there are two ways to go about this, depending on how much content you want to delete at once. If you only want to delete a single title at a time, you can do so via the My Downloads section. In Windows 10, for example, just open the title, click on the Downloaded button, and select Delete Download. You can also click on the pencil edit icon and select the titles to delete. Titles will be deleted without a second confirmation, however, so be careful. You could delete everything in the My Downloads section individually, but if you’re looking to clear everything all at once, there’s an easier way. Go to Settings, then simply click on Delete All Downloads.